India is an epitome of Cultural Diversity in the World. Being a large country with so much to offer, we are known for our Country’s picturesque beauty and distinctive cultural forms. Our culture and heritage have always alluded invaders from Foreign Nations and that’s the reason it has been under the rule of Britishers for 350 years. French didn’t lag behind in discovering their centre for the rule and established themselves in different parts of the country. 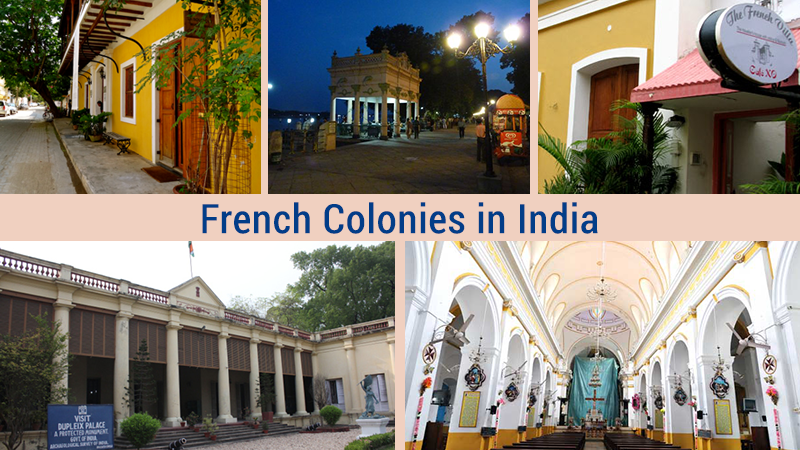 Time flew and India became Democratic, but towns like Pondicherry along the coast of Bay of Bengal and Chandnagar along the river side of Hooghly gives us a greater feel of staying in any foreign nation reflecting the French Colony and quarters at its best. Let’s have a detailed look how these cities have preserved its long-standing history. Pondicherry or Puducherry: The beautifully designed city of Pondicherry captured in Ang Lee’ s “ Life of Pi” was under the rule of French for 245 years. The great influence of French culture is strongly depicted through its artistically designed French Colonies, Catholic Cathedrals and beaches. Though small, the town played twin role during the Independence movement against Britishers and struggled to get freed from the clutches of French. Now, a Union Territory, the ethnic culture of Pondy was vastly dominated by Sri Aurobindo and a French woman, Mira Alfassa popularly known as “The Mother”. Chandanagar: Offering a slice of French culture, the town of Chandnagar became a complete part of India in the year 1955. Being a silent spectator of many important battles for trade and power by many foreign invaders, the picturesque town was ruled by the French from 1673. Once an important commercial centre of Bengal, the town is now minimized into a disrupted history, quaint streets and glimpses of French culture with a distinctive Bengali twist. Truly said, India is a country of People, Culture, Tradition and historical importance. Next Time you come across any other town which was under the rule of foreign invaders, dig out for the more historical aspect of it, you never know, there must be something new for you to learn. I went to Pondicherry and to the French colonies. Places are awesome and people are good. I would suggest everyone not to go in the month of FEB-AUG. I love French food also and in addition to this if you are going to the Ashram then make sure you have enough time. Because once are inside, you will feel some invisible energy inside. Peace makes you feel good. Cheers!